What if you discovered that everything you thought about yourself and your origins was incorrect? Could you handle the truth? Nikee Madison is like most people—consumed with relationships, family, friends and her job—until she stumbles across information that makes her question everything she thought she knew about herself. Will the truth set her free, as Jesus once said, or is ignorance really bliss? Her best friend Trisha, a metaphysical junkie, is also on a quest—one that will reveal answers to the age-old questions: Who are we and why are we here on Earth? Along with her soulmate Noah, she discovers things that the powers-that-be have kept hidden from mankind for centuries. Creationists believe that God made us. Atheists believe we have evolved from a lower species. What if they both are wrong? And just what is causing the dramatic climate changes we are experiencing here on Earth? The answers may surprise and shock you. We spend most of our lives distracting ourselves from the real questions about our existence—and the real truths about our lives. 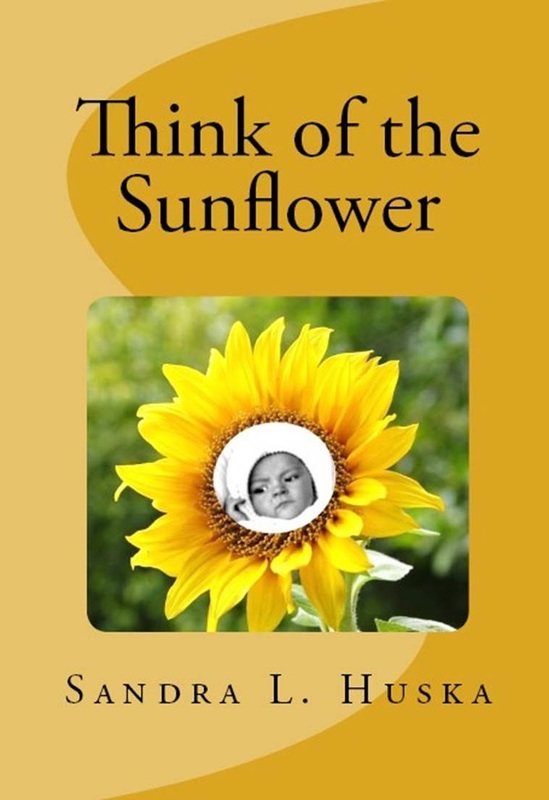 THINK OF THE SUNFLOWER is a novel that will challenge you to think about these questions and to face some startling facts. But the reader will learn, as do Nikee and her friends, that even when the truth is hard to accept, even when the future looks the bleakest, the Universe somehow manages to send us help and hope. 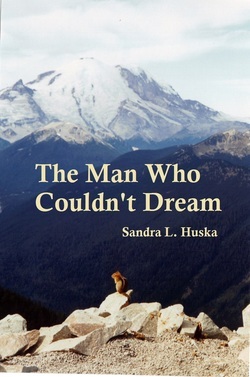 Sandra L. Huska’s third visionary novel not only delivers an entertaining story, it forces the reader to look at the world in an entirely different way. Paul and Annie Whitmore seem to have the perfect life. He's a successful biologist and she is a doting mother. But when tragedy suddenly strikes, they must confront their opposing beliefs about healing, God and the Universe. Paul holds fast to science, traditional medicine and rational thinking; Annie seeks the metaphysical and paranormal worlds for answers. Who is right? When tragedy strikes a second time, Paul is thrust on a spiritual journey that takes him to sacred sites across America, causing him to question beliefs he had held all of his life. Can a man of science accept the unexplained and miraculous events that happen to him? Can he separate conspiracy theories from truths? And just what does the secret of Coral Castle and the messages from The Wizard of Oz have to do with his spiritual growth--and for that matter, with ours? Sandra L. Huska once again takes the reader on a fascinating trek through "new age" concepts, causing us to wonder if there is more truth to them than we will admit. By the end of the book, it isn't just Paul Whitmore who discovers that the world is governed by things most of us have never even thought about. The reader, too, will make the same discovery. Flight 93 crashed there. Nine trapped coal miners were miraculously rescued there. Coincidence? Or is there something special about Somerset County, Pennsylvania? And just what is the significance of seeing 11:11? Michelle Grabowski, a divorced English professor, discovers the answers as she struggles with career disillusionment, fibromyalgia, her mother's death, and her failed relationships with men. And with the secret behind Green Mountain. She unwillingly begins a spiritual journey resulting in the startling discovery that God—in response to the toxic pollution destroying our world—is communicating with us in a new, personal and unorthodox way. If we would only notice! 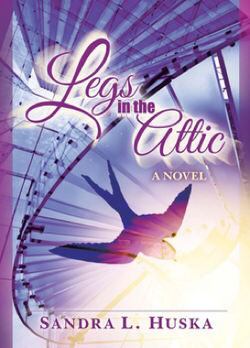 Legs in the Attic takes intriguing historical, political, religious and environmental facts and weaves them into a believable tale of ordinary people who rise to a new level of understanding about themselves and their Creator. It's an understanding we all must reach if we are to save our polluted planet and stop the epidemic of autoimmune diseases currently overtaking us. The novel suggests that Southwestern Pennsylvania plays a key role in the divine plan. And then it does something that no work of fiction has ever done before—it reveals to readers a new method of connecting with God that they can actually apply to their own lives! 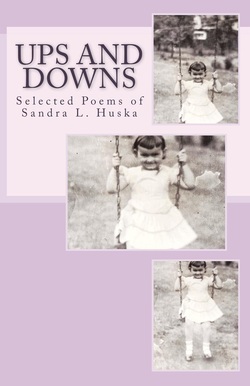 This is a volume of 29 selected poems written by Sandra L. Huska over the course of her life. They are accompanied by photos taken by the author. A believer in rhythm and rhyme--for that is what poetry is all about--she offers a variety of poems related to life's "ups and downs," particularly favoring the format of Shakespearean sonnets. 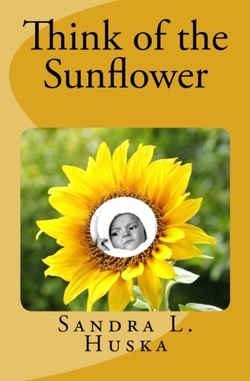 All books are available on KINDLE! Copyright 2014-2019, Sandra L. Huska. All rights reserved.